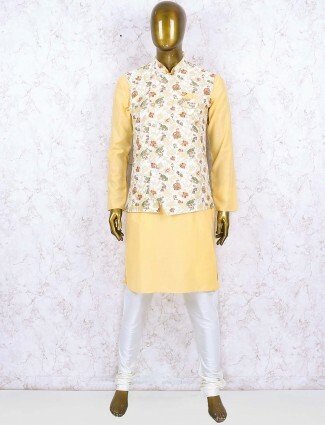 Men waistcoat sets are the classy phase of men’s fashion to look sophisticated and smart. 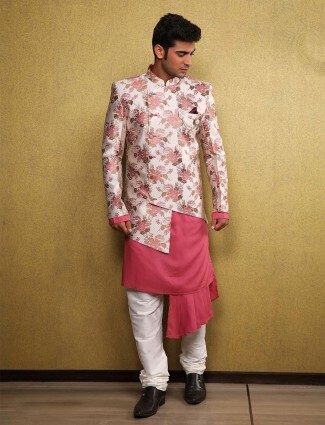 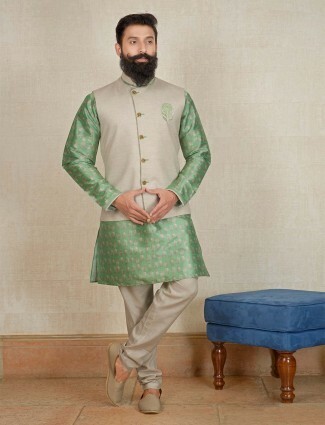 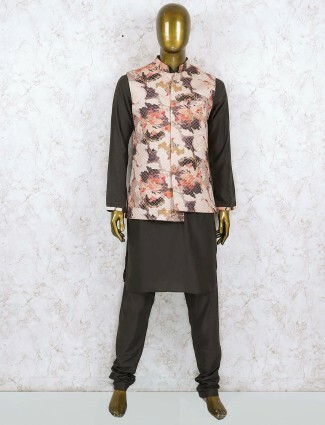 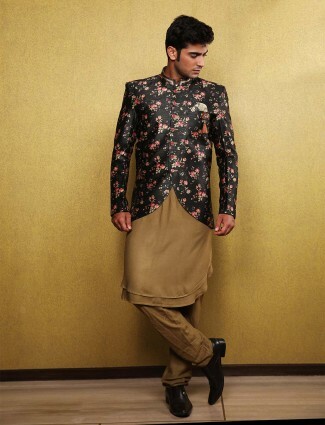 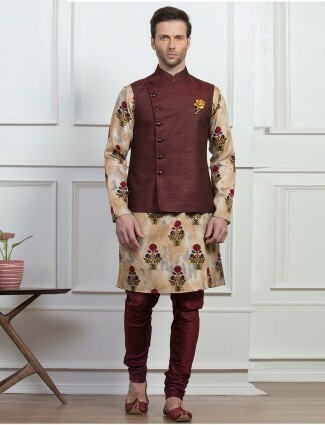 The look is paired up with the waistcoat and inner kurta or shirts styles and a bottom. 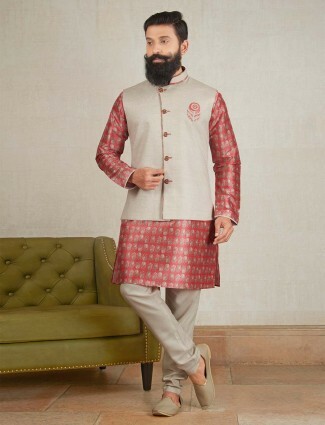 Shop mens waistcoat and kurta set online available in cottons, linen, velvets, jutes, brocades, rawsilk and more at G3+ Fashion with latest trending colour themes. 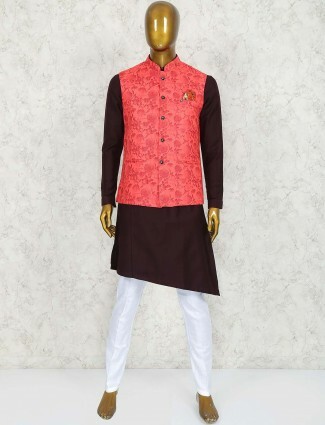 Getting the traditional and contemporary mixtures of this wear done, the bottom as pyjama or pants with the kurta or shirt can be styled similar, and the waistcoat in Nehru jacket style is the basic inspiration and look of this ethnic wear. 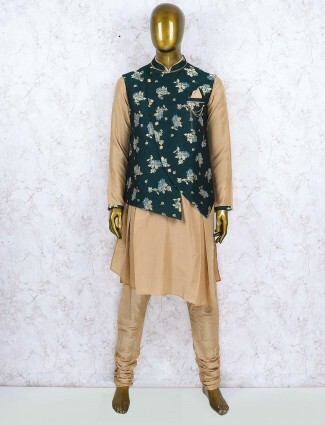 The look can gain a casual to party impact of dressing as per the design concepts, hot trendy options for festivals and ceremonies. 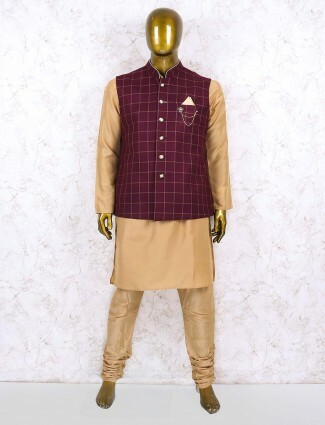 Get the waistcoat sets for men in all sizes ranging from 36, 38, 39, 40, 42, 44, 46, 48 and 50 to get them in perfect fits to look smart and traditional with modern designs and colors like grey, black, white, beige, maroon, khaki are the basics and the festivals or wedding wear has colors like red, blue, pink, yellow, orange, gold, purple and many others. 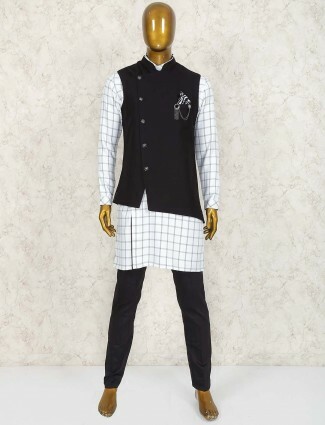 The trend of waistcoat sets had somewhere caught the its inspiration from the nehru jacket, worn with kurta, the simple business waistcoat transformed to the nehru jacket style waistcoat and worn in the 1920’s had inspired the where to become more of casual and formal. 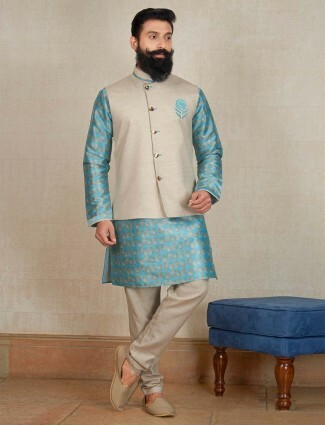 The classy and sophisticated wear of jute and cotton or linen and jute to silk waistcoat sets has now become a formal and casual fashion for men. 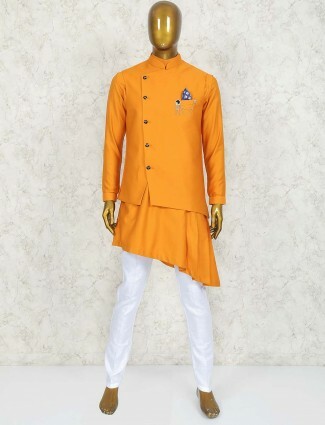 Narendra Modi being the style icon of Waistcoat Sets, has inspired youths and men of all ages to turn up in their traditional dressing with his wear of modi style waistcoat set. This has been trending in casual wear and formal wear in colours like white, grey, beige, khaki, navy blue and brown. 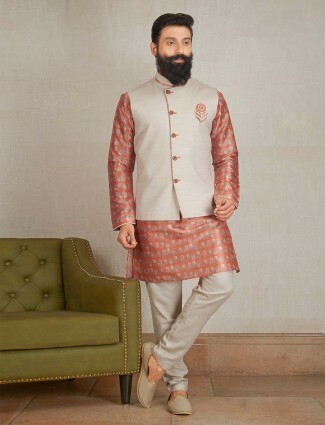 Buy online the best and simple set in waistcoat, kurta and pyjama or pants to wear as a festival wear, ceremonial wear or casual and formal wear in affordable prices at g3fashion.com. 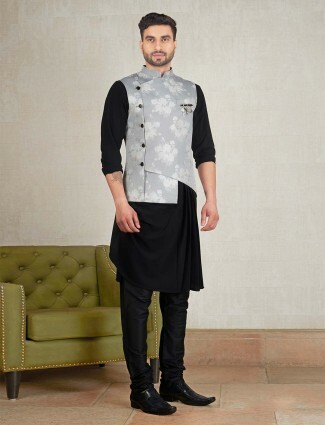 Waistcoats for men are an easier dress up style to look sober, getting the waistcoat pattern in stand collars and different styled front seam is the right look to carry on top of your short kurtas. 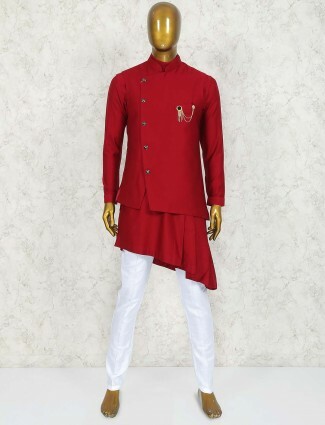 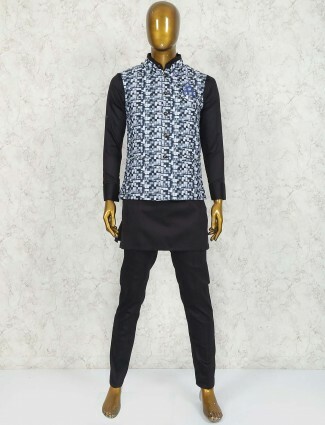 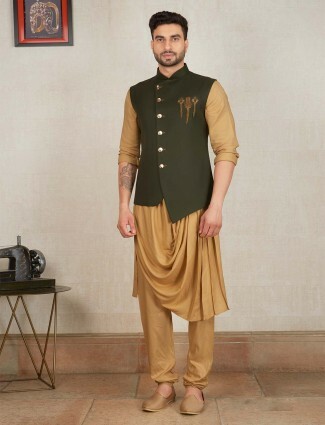 The kurta may also be in different short lengths and styles of hemline, cuts and front seam line to side seams, and the waistcoat designed to go with the set has relevant styling of these waistcoat sets. 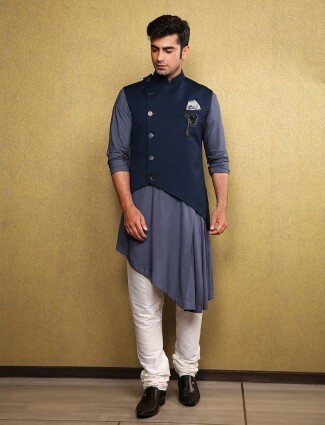 Kapil Sharma carries these designer waistcoat sets being presentable on his show on television to look smart and bold. 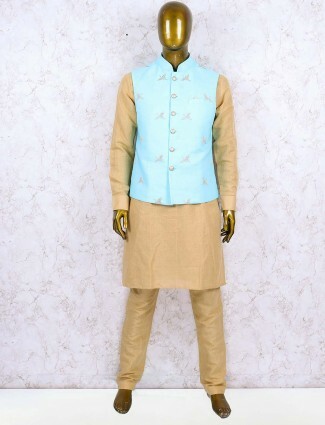 The business look in the formal waist coat kurta set with a Nehru jacket waistcoat touch and simple white knee length or above knee length kurta and straight pants. 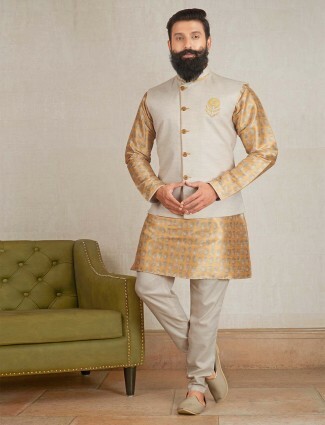 Men can wear this Linen waistcoat set to weddings and parties too, for the fabrics which make it look elegant and rich with velvets, brocade, silk, cotton silk and others to bring out the natural charm of the fabric to combine it with kurta, bottom wear and waistcoat. 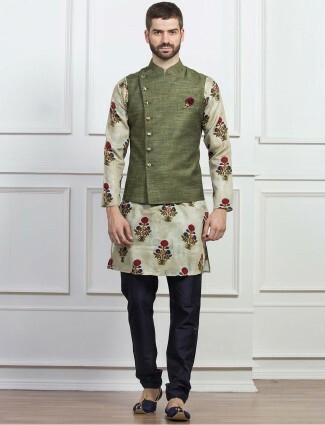 Buy online from our designer selection of options for the business meeting look, or a ceremonial event to the casual wear look. 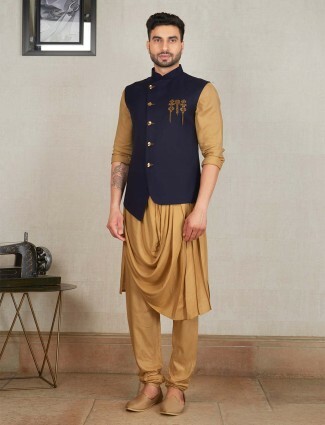 They are available in all colours, online shopping for waistcoats sets is now easier with G3+ fashion the best online store all over India like Mumbai, Delhi, Kolkata, Bangalore, Hyderabad, Surat, Chandigarh, Ahmedabad, Pune and more, as well worldwide shipping to countries like Australia, Singapore, Malaysia, Mauritius, South Africa, UK, Dubai, USA, Canada and lots more, we consider your personal taste and have a collection of different shades and patterns to wear in sober ethnic styles for men.